Whether you are a resident Indian or an NRI, you need to plan for your financial goals and life after retirement. 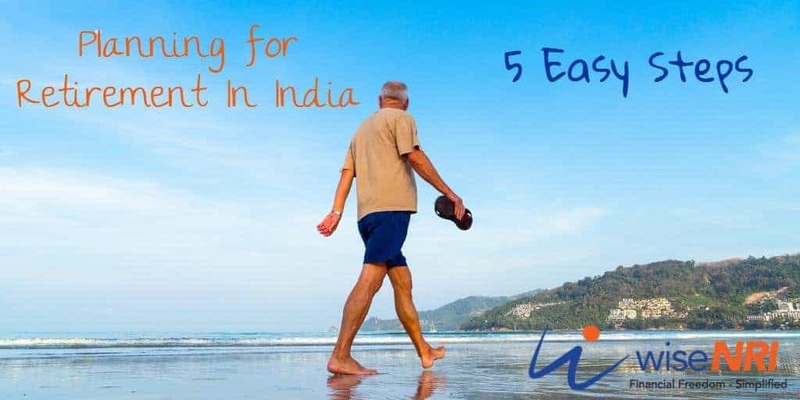 Planning for Retirement India is bit complex for an NRI – as staying away from India, sometimes one loses the real understanding of the financial situation, the expenses and economic conditions in the country. 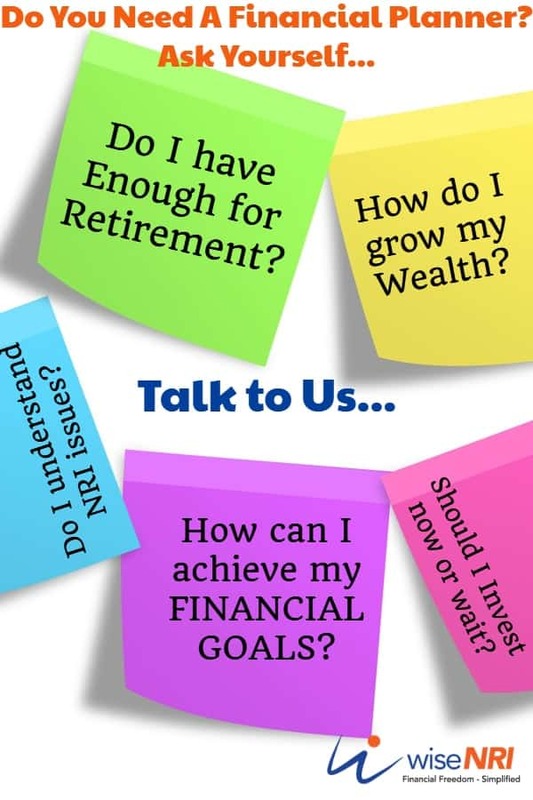 NRIs answering the questions – When, Where and How will make a phase smoothly into retirement. When are you going to retire? Some NRIs take up a job or assignment for a few years and not necessarily until retirement age. Others may have made enough money and consider retiring early. NRIs have to decide their plans after retirement regarding their return to India and their families’ return to India. If you are an NRI and your children are studying in US or UK, you might want to save more for their education as compared to education expenses in India. Where are you going to live post retirement? An NRI may want to live in a metropolis such as Mumbai or Bangalore or live in a Tier II city or may want to retire in his village. Depending on the choice, the amount for retirement varies. The cost of living in Mumbai is higher compared to a village. But the medical amenities and other modern comforts may be easily accessible as compared to a village. How are you going to spend time post retirement? If you plan to do some part-time work after retirement or engage in social building activities, you might want to live in a particular place. Some may want to stay with old-age parents to take care of them. Finalize your plans before retirement and then decide the place to retire in. You have to plan your retirement considering these factors so that finances can be planned accordingly. What are your retirement goals? Do you want to live a life of luxury in a palatial house with servants at your beck and call? Do you want to live a simple life spending your time reading and doing yoga? As an NRI, it will be easy to achieve retirement goals if you have planned for them. Depending on the goals, you can save and invest in a variety of instruments to get the necessary returns and build wealth. Mutual Funds – NRIs from all countries except US and Canada can invest in equity funds, balanced funds, debt funds, liquid funds and MIPs. NRIs from U.S and Canada can invest in selected Mutual Fund Schemes. NRIs who do not want research or to take risk of investing in direct equities should use the MF route. They are managed by professional fund managers. In retirement planning, one thing people must consider that retirement savings in financial assets are very important – in the long term equity is a good asset class but we should be prepared for volatility. Fixed Deposits – NRIs can invest in fixed deposits in NRE and FCNR accounts to get tax free interested. NPS – The government has allowed NRIs to invest in National Pension Scheme (NPS). Real Estate – NRIs can invest in Residential and Commercial properties but not in farms, agricultural land and plantations. As an NRI, one should be watchful while investing in real estate as it is not easy to be away and be involved in maintenance and management matters. You can give power of attorney to someone you trust to manage matters. When I talk to NRIs few of them feel they don’t have to do Retirement Planning as they have the property that can generate rent. I think this is one of the biggest misconceptions of personal finance – rents will not beat the inflation rate. NRIs can invest in different asset classes to get returns. NRIs can work with a financial planner to make things smooth and transparent. Saving and Investing late in life – Some NRIs wait for the annual bonus or a target amount to start investing! Do not wait to get a big bank balance and then invest. Keep saving and investing at every opportunity you get. The more you save and invest, the more your wealth becomes. The earlier you save and invest, the longer and harder your money works. Forget to Factor in Inflation – You have to consider the inflation rate of the place you will be staying after retirement while planning your finances. Inflation rates and the way they move vary from country to country and you have to plan as per the inflation movements in the country you want to retire in. Improper assessment of Investment Risk – India still has a lot of scope for economic growth. The stock markets are doing very well. But NRIs who are smart will understand currency risk, growth risks and risk of impact of global factors on the Indian economy. It is important to build a diversified portfolio to protect yourself from risks. Estimate the retirement budget as accurately as possible. You think you will spend less compared to your expenses now. But that may not be the case. There are many expenses that you will undertake as a retired person which you may not incur now so do not underestimate the amount of retirement kitty you need. Keep your documentation updated. Know Your Customer (KYC), bank account and Portfolio Investment Scheme (PIS) account, along with demat and trading accounts are required for hassle-free investing. Do not depend overtly on the bank where all your accounts are present. You can talk to a wealth management firm or financial planner to understand investment opportunities and have an unbiased view. 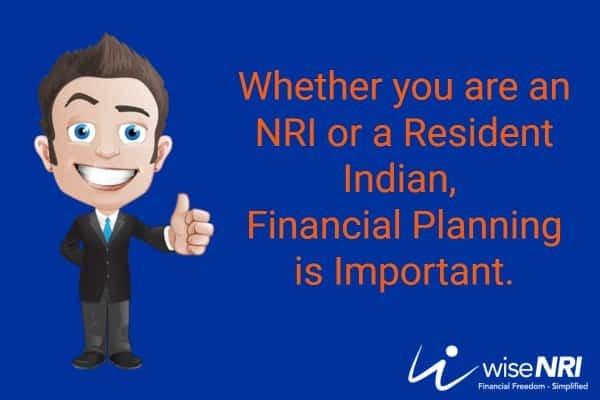 Whether you are an NRI or a Resident Indian resident, Financial Planning is Important. NRIs have to pay attention to factors such as currency movements, legal aspects of investing in India and abroad, taxation matters in India and country of residence to have a smooth transition to retirement and achieve retirement goals. 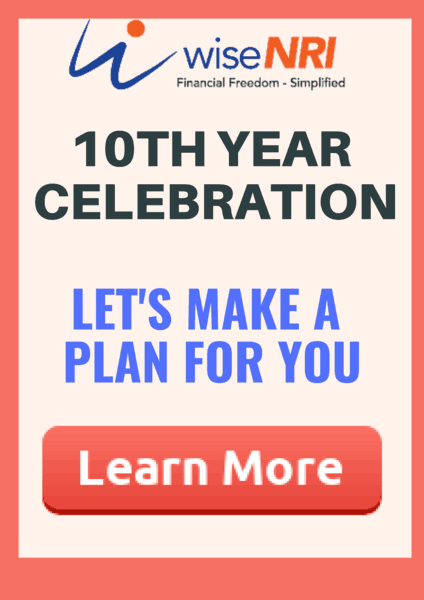 Please share how you are planning for retirement in India. If you have any questions feel free to add in the comment section. NRIs from all most all countries can invest in equity funds, balanced funds, debt funds, liquid funds, MIPs and NPS. They need to be fully aware of tax rules in their country of residence. Refer to FATCA here….. NRIs are not allowed to contribute to PPF and certain saving schemes of GOI where interest rates are fixed by the govt (such as Sr. Citizen Saving Certificate, VVY, post office schemes, etc). NRIs cannot also take the benefit of ELSS, and many tax-saving provisions are also denied to them. (Produce a table somewhere else…) Only few Mutual fund houses entertain investments from NRIs based in USA and Canada; in many cases, they can only subscribe to selected schemes only when NRIs visit India (ICICI Pru, Motilal Oswal), and in fewer cases certain fund houses insist on paper applications whilst in India (Motilal). Generally investment in LLPs is not allowed. One needs to declare all Indian assets and income on yearly basis to resident country (such as the USA). I would like to thank you from bottom of my heart for your comments, suggestion & feedback in last few days. I can clearly sense that you have good knowledge about NRI issues – your comments will definitely help other readers. Please share how you are planning for retirement in India. If you have any questions feel free to add in the comment section”. Can you share more details on the 2nd point? It’s a good idea – will explore. I am 44. Currently I don’t have any job but will surely get into it. How much should I have to invest to get 50000 rs per month (in my retirement) in next 7 yrs ..
You must contact financial planner regarding your retirement plan.